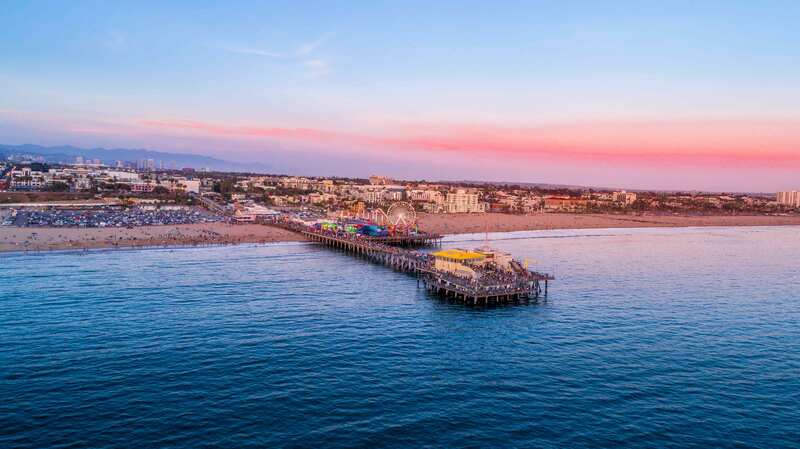 Enjoy the best of the west from real cowboys to a traditional ghost town. 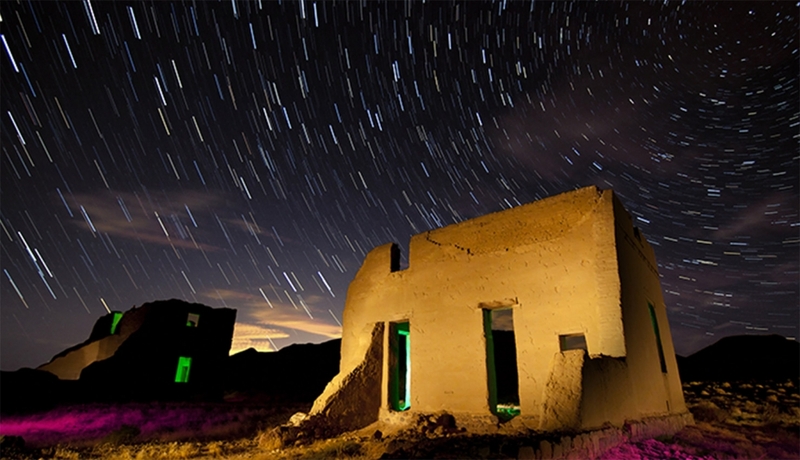 The secluded ghost town of Rhyolite, in the Bullfrog Hills (roughly 120 miles northwest of Las Vegas), is one of America’s finest ghost towns. Situated on the eastern edge of Death Valley, this once-booming mining town is now uninhabited – but luckily you’re invited. The general store, train station and bank still stand in the derelict town; perhaps the most fascinating feature is the ghosts’ statues of the Goldwell Open Air Museum, located next to town. 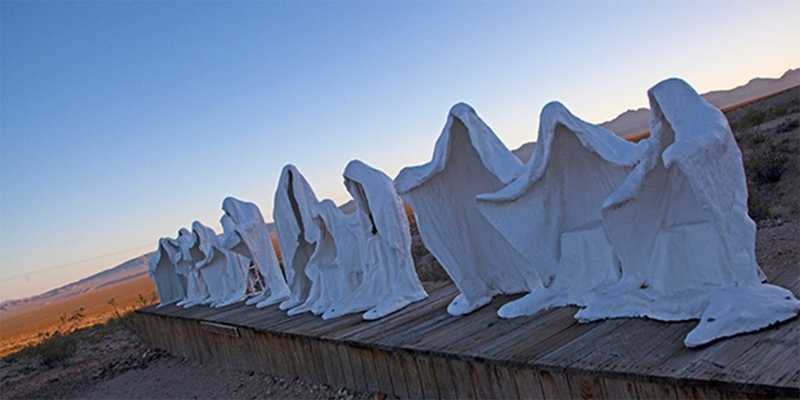 These seven outdoor sculptures – created by a group of prominent Belgian artists, led by the late Albert Szukalski – are incredibly impressive, thanks to their size and their setting: the vast upper Mojave desert. Don’t think cowboys and poetry go together? Think again. 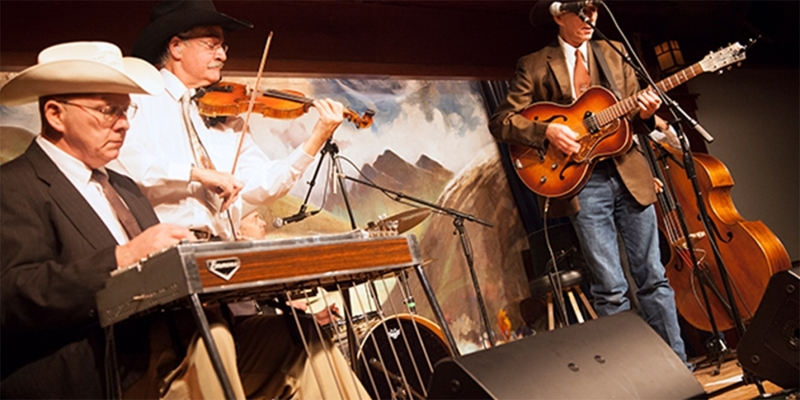 Elko is where Nevada’s real cowboys work and play; every January, cowboys from across the nation flock to Elko for the National Cowboy Poetry Gathering: a week-long celebration of the cowboy lifestyle and the rural West. Expect poetry (naturally), plus music, dancing, workshops, exhibits, conversations, food and fellowship – rooted in tradition, but reflecting the modern rural Wes. Funded by the Nevada Museum of Art in Reno, renowned Swiss artist Ugo Rondinone created a large-scale, colourful public artwork called ‘Seven Magic Mountains’. 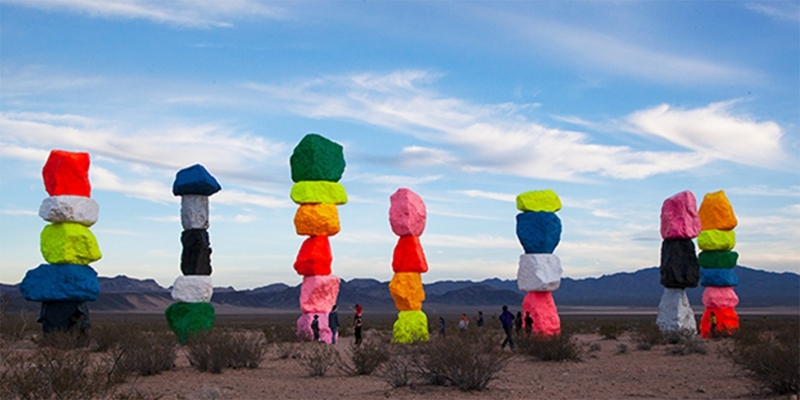 Featuring seven 30–35-foot-tall dayglow totems comprised of locally-sourced boulders painted in rainbow-bright hues, ‘Seven Magic Mountains’ is a two-year exhibition located in the desert just outside Las Vegas. The instillation, which opened in May 2016, is a vivid poetic expression of the human presence in the desert. 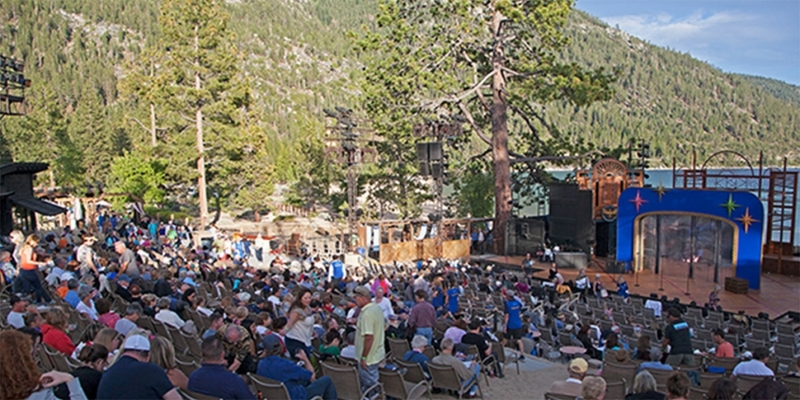 Sand Harbor is one of Lake Tahoe’s most stunning beaches; it’s also home to the summer Lake Tahoe Shakespeare Festival. 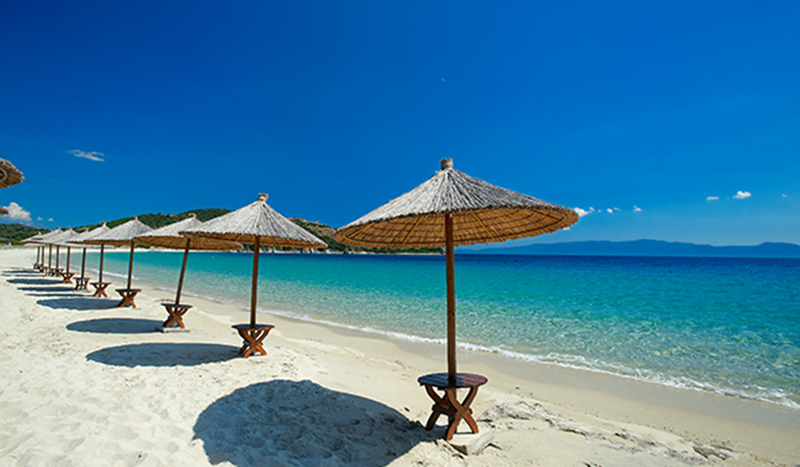 Visitors come with blankets and picnics to watch the performances and enjoy the scenic sunsets. In 2018, the tragedy of Macbeth will be performed from early July until late August; for something a little more giggle-prompting, the Broadway classic Beehive: The 60’s Musical will also be performed. The full lineup is expected to be announced from March onwards; don’t miss out.